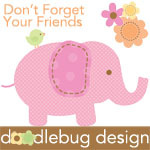 Doodlebug Design Inc Blog: Sugar & Spice Release Party Week! 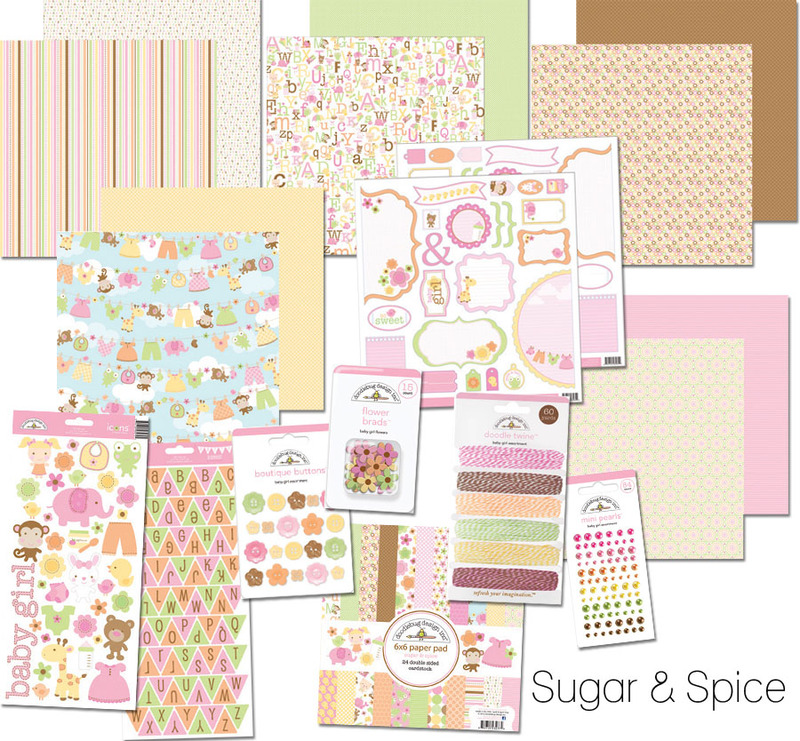 We are excited to feature the new Sugar & Spice Collection this week on the blog. 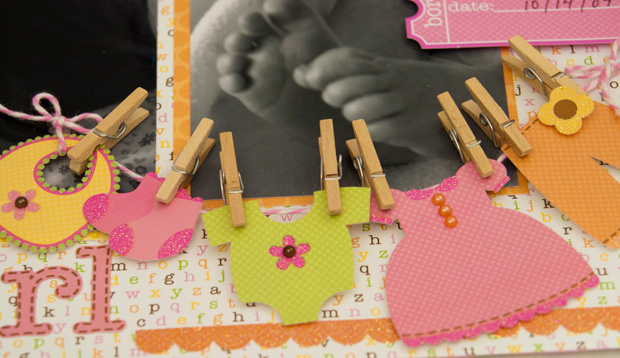 Our design team girls will share tons of great ideas. 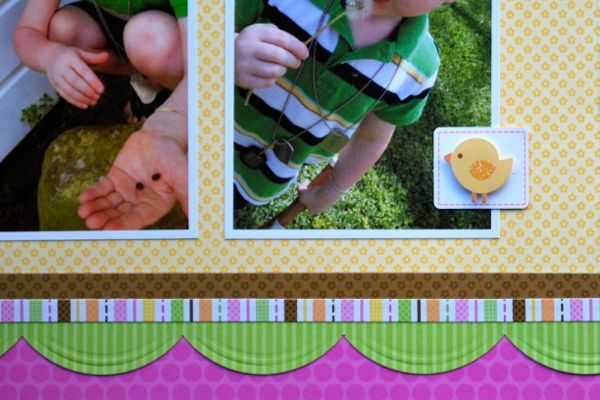 Don't need baby girl stuff...don't worry, we'll show you some beautiful inspiration for everyday themes and even boys...check out Aphra's layout below. The Sugar and Spice line is so sweet and girly. 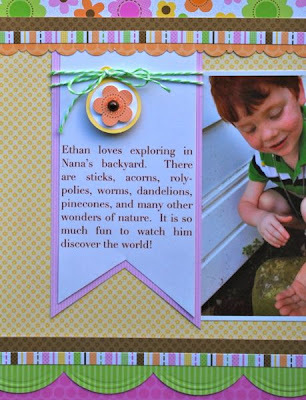 As a mother of two boys, I decided to see if I could still use this line to create a scrapbook page with pictures of my kiddos. By using some outdoor pictures and lots of "B sides," I was able to make it work. And I am totally fine with there being pink and orange on the page. Those soft colors coordinate perfectly with my son's pink cheeks and lips and his bright auburn hair. That's my story, and I'm sticking to it! Supplies: Sugar and Spice Baby O's Paper; Sugar and Spice Bundle of Joy Paper; Sugar and Spice Sweetie Pie Paper; Sugar and Spice Baby Bunting Paper; Sugar and Spice Leapfrogs Paper; Sugar and Spice Hangin Out Girl Paper; Sugar and Spice Sugar Coated Cardstock Stickers; Sugar and Spice 6 x 6 Paper Pad; Sugar and Spice Cute Cuts; Baby Girl Assortment Doodle Twine; Baby Girl Mini Pearls. I love these papers and am having so much fun working with them! cute papers, my sugar is almost 3, but my spice is only 10 months! I think i could put these papers to good use! Very cute! I love how versatile collections can be! this is such an ADORABLE collection and the layouts are just GREAT!!!!! Beautiful collection, love the colors!